As all of you know that after included in provincialised act there’s no clear notification from D.H.E regarding the Library Advisory Committee. Therefore, on behalf of ACLA, I had met the Director, D.H.E today and explained her about the importance of library committee for our college libraries. After a long discussion, I have submitted a memorandum to her regarding this matter. I hope that we will get positive results shortly as a form of new Library Advisory Committee notification with some proper guidelines to run our college libraries. 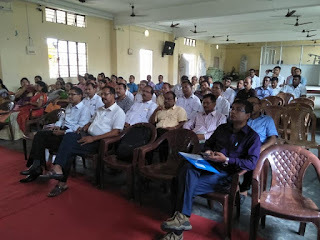 The Assam College Librarians’ Association and S.B.Deorah College has jointly organised a one-day state level workshop on “Role of College Librarians of Assam in the changing environment” on 15th July, 2018 at S.B.Deorah College, Ulubari, Guwahati. 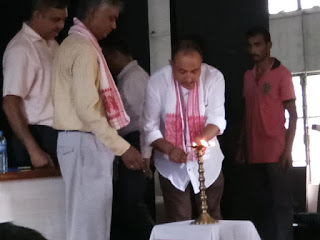 The inaugural session was started with lighting of lamp and Saraswati Bandana. The session was chaired by Prof. Narendra Lahkar, President of Assam College Librarians’ association. The welcome address was delivered by Dr. Dhrubajit Das, Librarian of S.B.Deorah College. Welcoming the participants of the workshop, Dr. Das in his address mentioned about the various changes in the functioning of the libraries of the present era due to the fast technological development specially the comprehensive use of Information Communication Technology (ICT) in the libraries and asked the college librarians of Assam to adapt with the changing environment as quickly as possible by upgrading their skills. 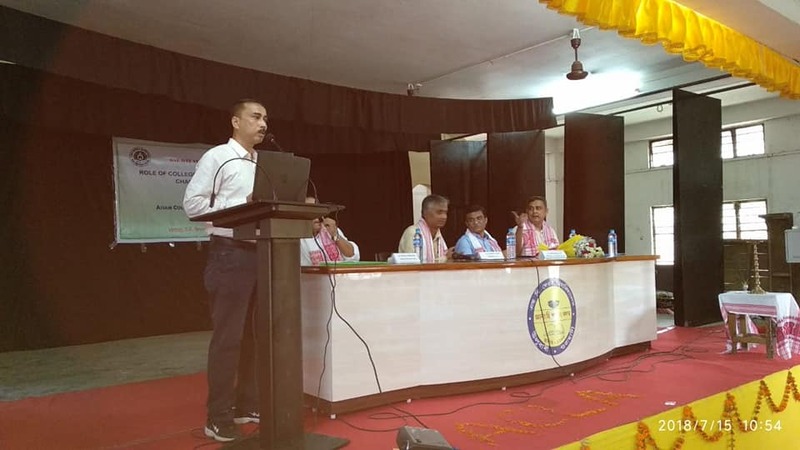 Dr. Dharmendra Nath, Principal of S.B.Deorah College in his keynote address stated about the formation, role and responsibilities of Governing Body (GB) of the college highlighting its powers and functions for effective management of the institution. He also stated about the role and responsibilities of the college librarians as ex-officio member to the GB of the college. General Secretary of ACLA Dr. Prasanta Kr. Deka delivered a speech on “Future plan of ACLA”. Dr.Deka in his speech stated about the contribution made by the past office bearers of ACLA and he also explained his future course of action in fulfilling the various demands of the college librarians of Assam. He also express his gratitude to the Govt. of Assam for giving the academic status and Ex-officio GB membership to the college librarians of Assam. In the Presidential address, Prof. Narendra Lahkar recalled the relentless efforts of past eminent members of ACLA in fulfilling the genuine demands of the ACLA. Prof. Lahkar in his speech stated that the recognition and responsibility are the two sides of a coin and as the college librarians have their recognition, now they have to shoulder responsibilities in proper perspectives. In the second session Prof.(Retd.) P.J.Das of Gauhati University delivered a speech on” Managerial and Communication Skills”. 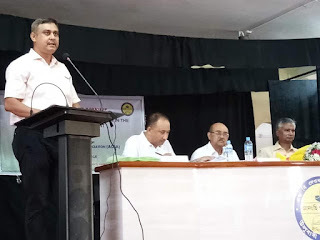 In his speech Prof. Das shared his experiences of management while he was in administration in various capacities such as Registrar in-charge, Director of IDOL etc. during his service tenure at Gauhati University. He also explained about the various pros and cons of management. Good Communication skill is very essential in order to be a good manager, he stated. An interactive session was also held where the college librarian shared their problems and experiences in the workplace. The workshop was ended with vote of thanks offered by Dr. Kishore Sarma, Librarian, D.K.Girls’ College. The whole programme was coordinated by Dr. Bibhuti Choudhury, Librarian, LCB College, Maligoan, Guwahati. Design and Develop by Badan Barman. Picture Window theme. Powered by Blogger.